QTY 1234567891011121314151617181920212223242526 Please select a quantity. 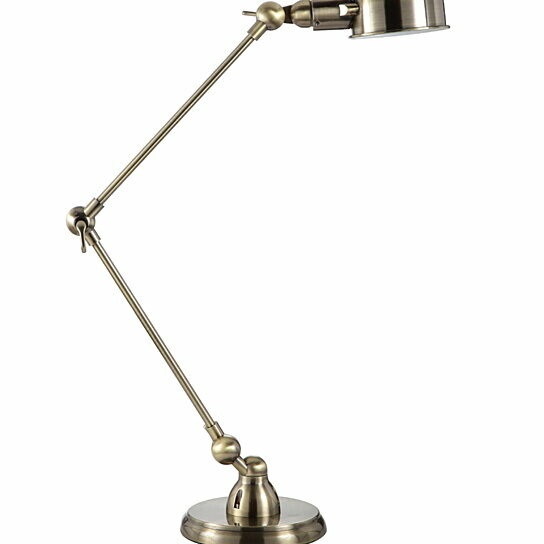 A modern finish table lamp will radiate a warm and gentle glow on the workstation, desks or side tables. Fully metal constructed structure featuring a brass finish, this is a perfect task lamp for any space which requires a lighting accent. This also features a flexible handle, neck with a round base so that you can configure it in any position to give the desired place an illuminating glow. This will blend with any space from modern to contemporary look. This table lamp also consists 36 inch power cord for easy use. Use one 60 watt bulb to show off your high-tech lamp glow.